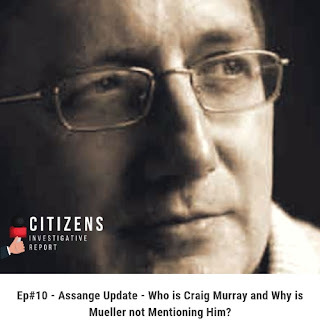 Ep#10 - Assange Update - Who is Craig Murray and Why is Mueller not Mentioning Him? https://www.americanthinker.com/articles/2018/11/is_the_deep_state_feeling_the_heat.html | Is The Deep State Feeling The Heat? Qanon - Julian Assange to appear in US Secret Court on Tuesday? Panic at the DC Disco - RR, Mueller, Maggie D5 is Around the Corner! 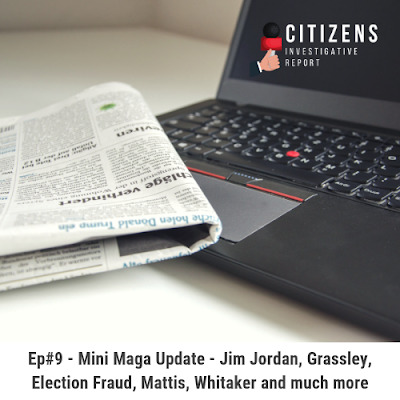 Ep#9 - Mini Maga Update - Jim Jordan, Grassley, Election Fraud, Mattis, Whitaker and more! 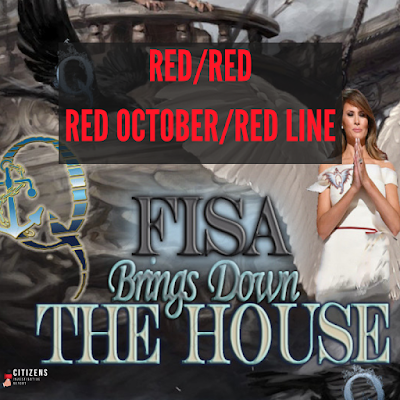 QAnon - A Peek Inside the OIG FISA ABUSE Report Coming Soon to a Theater Near YOU! Yes, I am dedicating a whole article and video to JUST ONE POST! 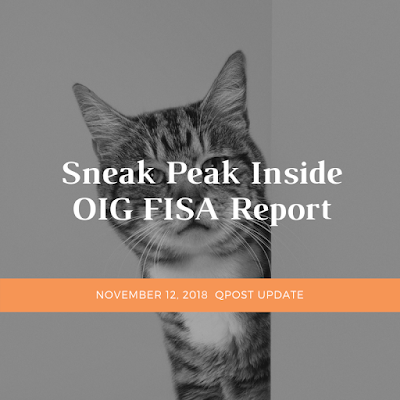 Post 2489 provides an inside look into what will be contained inside the OIG Report on FISA Abuse. The previous few posts provided Anons on 8 chan a roadmap to organizing sections within 8 chan according to topics that will arise and that the public will be looking for information about in the VERY near future. Q also started a brand new "thread" within the /patriotsfight/ board. IMHO, this is the start of a new phase. This happened on 11-09-18 AND the real posting started on 11-11-18! This will apply to all posts prior to No. 440. QAnon - Let the Unsealing Begin, Let the Declas Begin! WWG1WGA! 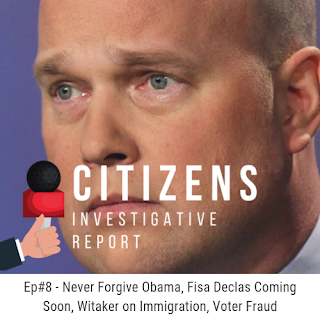 Ep#8 - Never Forgive Obama, Fisa Declas Coming Soon, Whitaker on Immigration, Voter Fraud, Grassley and more! Now that Midterm Elections are over, we can move on with the MISSION! If you jumped out of the foxhole JUMP BACK IN and FIGHT! This is WAR. This is information warfare. Disinformation is necessary and there are moves and countermoves. We caught wind of the counter moves with the resignation of Jeff Sessions. My inbox blew up with: TRUST SESSIONS??? WHAT'S GOING ON KATIE G? Spending the day teaching the future generation the TRUTH.